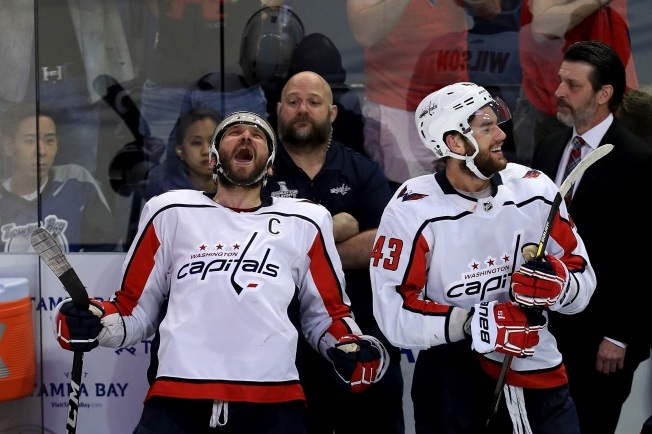 Washington Capitals fans who can't make the trip to Las Vegas for the Stanley Cup finals can cheer them on at Capital One Arena. Fans can go to free game viewing parties at the arena on Monday and Wednesday for Game 1 and Game 2 against the Vegas Gold Knights. The doors will open at 7 p.m. and both games kick off at 8 p.m. on the jumbotron. Fans can enter through the F Street and Gallery Place entrances. Stanley Cup Final merchandise will be on sale and concessions at the arena will be open. The team's mascot Slapshot, the Red Rockers and additional Caps personalities also will be there. Fans are asked to RSVP here.